Best Long Range Video Baby Monitor - For Under $40? Best Long Range Video Baby Monitor for Under $40? Hi there, being a father of two beautiful kids, I can understand how important it is to have a reliable baby monitor with a long range. Short version – the best rated baby monitors. Back in 2014, when we were pregnant with our first born, my wife wanted me decide on the best baby monitor since I was a “computer freak”. It was my first time, and I had absolutely no idea which features I should be focusing on. If it was a laptop or a phone, you’ve got the right guy, but this is a totally new field and I was going to be a father for the first time! Works for as long as we need it to without problems. All we wanted was value for money. Bombarded with all the baby monitor reviews and ratings on Amazon, plus the independent reviews on Google about the top selling baby monitors, I spent 2 to 3 weeks of late night sleeps. It was hard for me to figure out which baby monitor was good for us. I didn’t want to spend too much as we had already made our orders for the Philips Avent Manual Breast Pump, Stork Craft Tuscany 4 in 1 , Philips Avent feeding bottles and more. It was wonderful. We really enjoyed using it. It didn’t cover a long range, but it was good enough. The sound was good, night vision was clear and so was the overall video quality. The battery life of the receiver started dropping within after the first 3 months of use. The receiver was quite bulky to carry around. It used to lose connection frequently – nothing a quick reset wouldn’t fix. The receiver stopped working after 15 months. The warranty was only upto 12 months. So that was it. I was at a loss of words and short of funds as we had just started a new business and I didn’t much to spend a similar amount of the same baby monitor. But within 6 months after our son was born, we realized exactly what we wanted from a baby monitor. All we wanted was to make sure our baby was sleeping in peace and without distress while we relax outside the room, maybe watch a movie or have a meal in peace. [UPDATED] With that objective in mind and with the experience of our first baby monitor, I decided to go smart this time on what we wanted from the next one. After reading for a while, I came across IP cameras that could be used as baby monitors. 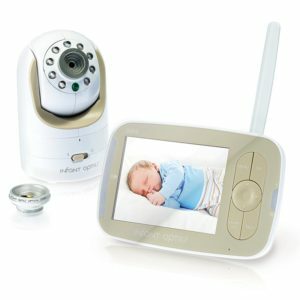 It really got me hooked and after reading through the function of an IP camera, I was shocked – 1/3rd to 1/4th the price of a regular baby monitor with unbelievable distance coverage! I bought a budget IP camera from a CCTV store nearby based on a good friends recommendation in 2015 and to date this camera still works. It’s connected to our existing WiFi network. We use our phone to connect to the camera – Bulky monitor no more. It can record videos, and you can watch them from the phone later. After using the camera for 3 and a half years, the power port of the camera has become a little sensitive. It tends to restart if you move the wire. The wire problem is not much of an issue. I would gladly buy a new one if it dies. 3 years was long enough for the poor guy, and it still works as long as no one messes with the power cable. 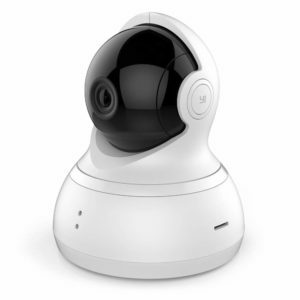 If you’ve got experience with an IP Camera or a really good baby monitor with a long range for less than $50, please share the model in the comment section below. You’re a life saver! I got the yi camera and it really works wonders. 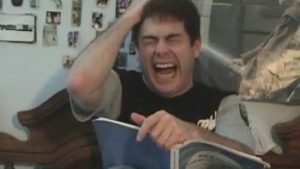 I was having a chat at my neighbours residence while watching our baby room! i found the set up a bit challenging but it’s connected to our wifi now and i’m finally enjoying some me time!